Rural areas in southeastern Ohio and north West Virginia are plagued by poor connectivity. In the Appalachian region, people are organizing to find ways to solve the problem themselves rather than face the risks facing communities with no access to high-quality Internet access. On July 18th, the National Rural Assembly will hold "The Appalachian Ohio-West Virginia Connectivity Summit" in Marietta, Ohio. The summit will bring experts together to share their knowledge with participants who are interested in learning more about ways to improve local connectivity. In addition to a keynote address by Christopher, breakout sessions will include topics such as broadband policy, technology, and organizing. There will also be an afternoon panel discussion titled “Community Ownership Models” and FCC Commissioner Mignon Clyburn will be sharing remarks. The event is one stop on her #ConnectingCommunites listening tour around the U.S.
You can learn more about the summit and the speakers at the Rural Assembly website. They’ve also collected a list of resources and want you to share your broadband stories. There will also be a Town Hall later in the evening on the 18th. Check out the complete itinerary online and Register for either event if you plan to attend. The Summit will take place at Washington State Community College and the Town Hall will be held at Marietta High School. For more and to stay up to date, follow the Summit FB page. 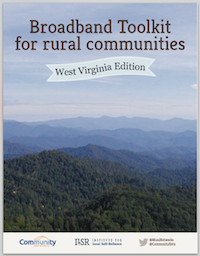 As in the rest of the country, broadband is now a necessity for rural economic development in West Virginia. Taking on the challenge, Spruce Knob Seneca Rocks Telephone (SKSRT) cooperative overcame impressive obstacles to build a state-of-the-art fiber optic network. The cooperative operates in some of the most serene landscape in the United States and some of the most difficult terrain for fiber deployments. The region’s economy primarily relies on ski resorts and tourism from its namesake, Spruce Knob, the highest peak in the Allegheny Mountains. SKSRT’s service area also includes the National Radio Quiet Zone, which creates unique challenges for the cooperative. Established in 1958 by the FCC, the National Radio Quiet Zone protects the radio telescopes at the National Radio Astronomy Observatory from interference. Because these telescopes are incredibly sensitive, the region is greatly restricted in deploying different types of telecommunication technologies. In certain areas of the quiet zone, closest to the observatory, wireless routers and two-way radios are prohibited. Because of the mountainous terrain and the technology restrictions, large telecoms had completely bypassed the sparsely populated communities, leaving them with few options for any sort of connectivity. 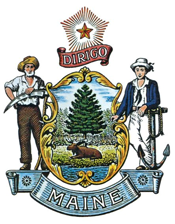 Much of the isolated region still used the old ringdown operator-telephone system until 1972 when the community created SKSRT as a non-profit cooperative. SKSRT installed the latest in telephone infrastructure at the time and committed to encouraging economic development in the region. Community leaders from Huntington, West Virginia, are the latest to announce they are determined to bring publicly owned infrastructure to town. The Charleston Daily Mail reported in April that Mayor Steve Williams described fiber as a "game-changer" for the city and is determined to find a way to bring it to Huntington. 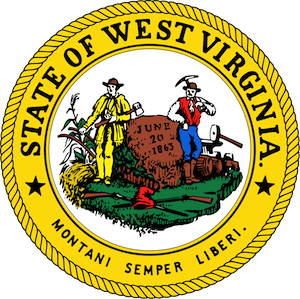 Huntington received a grant from the West Virginia Broadband Deployment Council in 2014 that it used to conduct a feasibility study. The study estimated that the cost of a network would be approximately $25 million. The city considers the study a working document and is currently seeking out grant funding to move forward. They aim to bring gigabit Internet access to Huntington for $70 per month for residents and $100 per month for businesses. Like many other moderately sized communities, Huntington wants to capitalize on the higher quality of life attributed to small town life coupled with a high capacity next-generation network. Huntington's population is around 50,000 but it is also part of the larger Huntington-Charleston metro area of about 365,000. Williams said the city is looking into the feasibility of forming a public-private partnership to develop the fiber network. Williams said it would be cost-prohibitive for the city to build and manage the network itself, but a public-private partnership would allow the city to retain ownership over the fiber while letting an outside company sell the service itself. No matter how the city decides to approach building the network, Williams said it will happen.